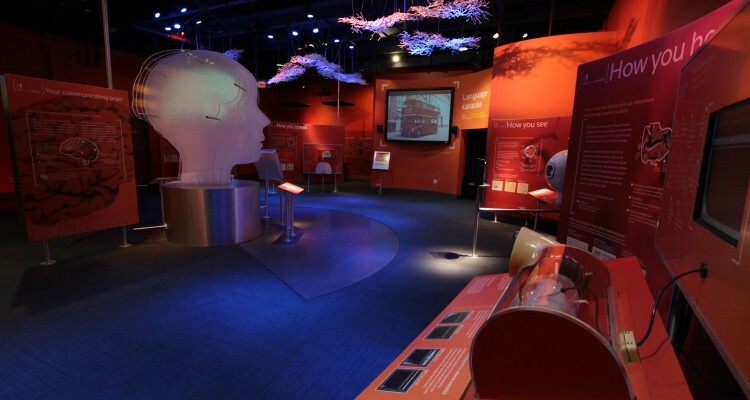 Communication is an exhibition that explores the science and technology behind how we exchange information and emotion from human physiology to the dynamics of social networks. 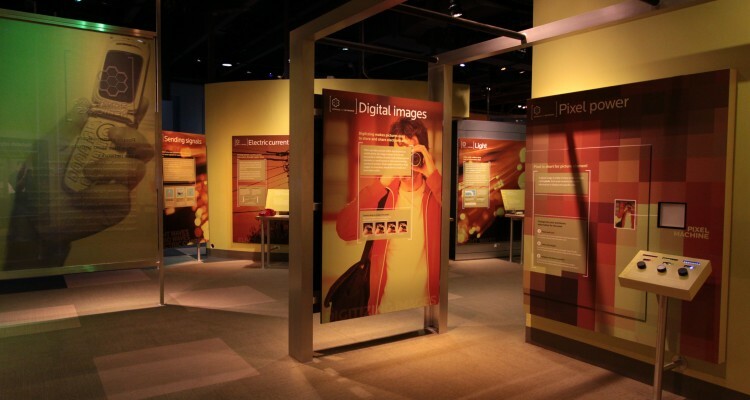 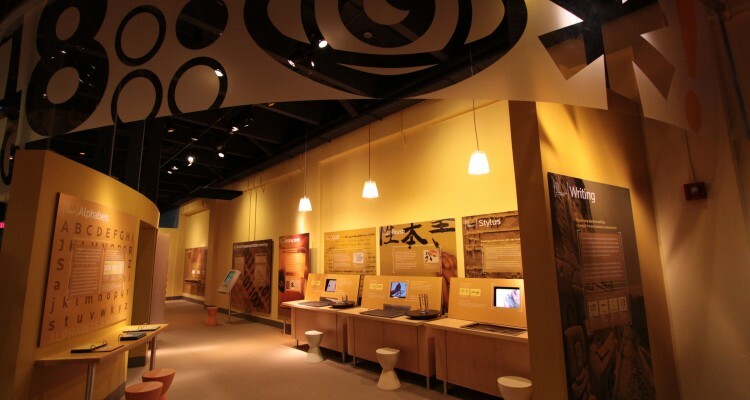 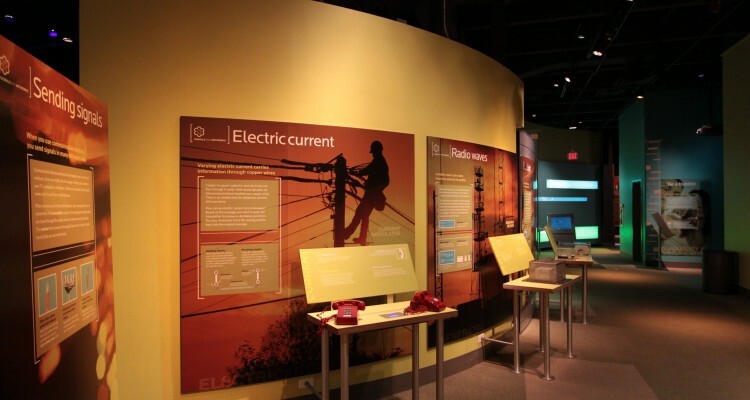 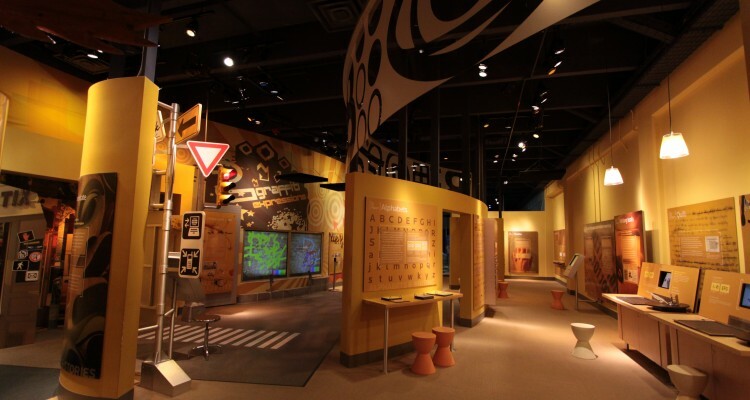 Unlike typical science center exhibitions on the subject it touches on cultural, sociological, artistic and historic aspects of the subject along with more traditional content such as the workings of fiber optics. 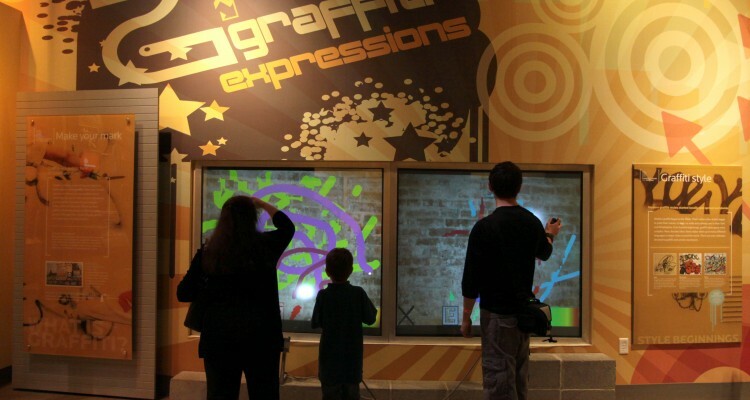 Included in this exhibition are several iconic media experiences including digital graffiti to a digital cave print wall.